Nieuw Vennep, Netherlands, Mitwell (www.portwell.eu) a Portwell subsidiary and world-leading innovator for Industrial PC (IPC) and embedded computing solutions, and an associate member of the Intel® Internet of Things (IoT) Solutions Alliance, today announces the launch of the KUBE-3100. 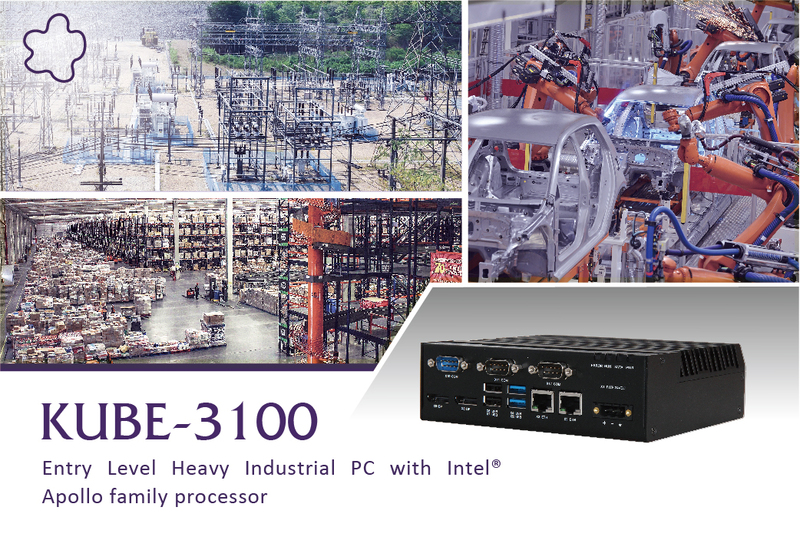 Mitwell’s new industrial computer platform KUBE-3100 comes in a robust fan-less design and features the latest Intel® Atom™ processor N3350 with up to 8GB (DDR3L 1866) of memory. The KUBE-3100 benefits from approximately 30% more processing power and 45% more graphics performance compared to the previous processor generation and provides the high-performance Intel Gen9 graphics with up to 18 execution units and support up to three independent high-resolution 4k displays via 2x DP and LVDS which can be used for Panel PC integration. 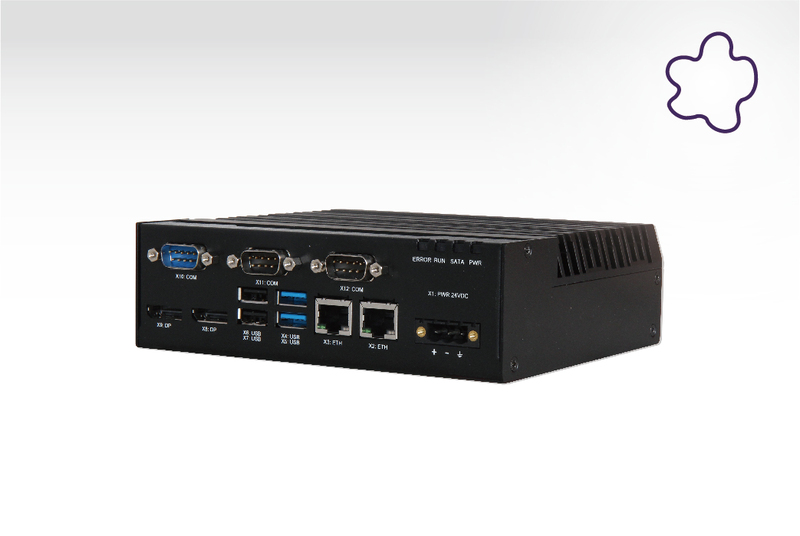 Its rugged and compact design (158 × 145 × 49 mm), plus low power consumption, make the KUBE-3100 a perfect solution to support applications for kiosk, image processing, digital signage, medical and the harsh environments of factory automation. For local data acquisition, the new KUBE-3100 offers a broad range of industrial interfaces such as 2x Gb industrial Ethernet (Intel i210), 2x USB 3.0, 2x USB 2.0, 2x RS-232 and one BIOS configurable (RS232/422/485) serial interfaces. The M.2 Key-B, interface for SSD and a mini-PCIe with mSATA round the storage and extension capabilities up. The mini-PCIe interface additionally provides wireless connectivity such as Wi-Fi, Bluetooth, NFC (near-field communication) and LTE/GPS functionalities, making it an ideal IoT gateway solution. The compact system (is very service friendly. Moreover, it operates with thermal design power (TDP) under 12W for fan-less applications and supports a power input of 24VDC+/- 20% for rugged applications. For the use in demanding environment, the KUBE-3100 meets the Heavy Industry requirements of EN61000-6-4 (EMI) and the EMS standards IEC 61000-4-2, 4-3, 4-4, 4-5, 4-6, and 4-8 which includes extended RS, EFT and CS criteria compared to the general Industry standard. This makes the KUBE-3100 a perfect fit for applications like Equipment connectivity, Production process monitoring, Environment Management and Process Visualization.